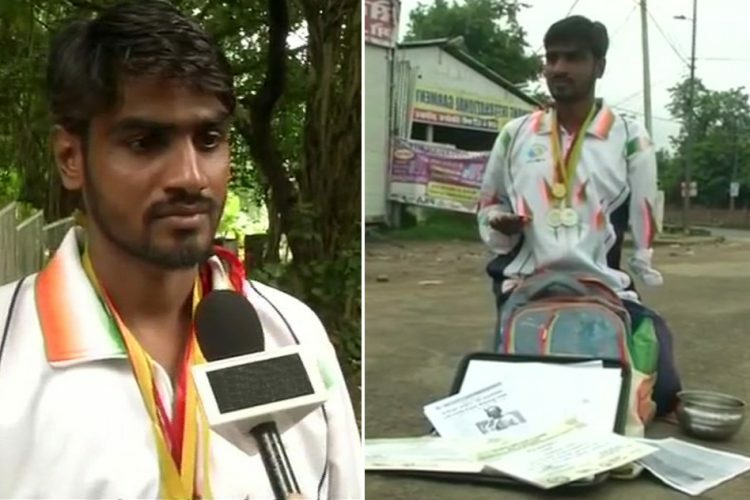 This Para-Athlete Once Won Medal For Running Race & Now Forced To Beg On Streets !! Sports and sportspersons have never been given the importance that they deserve in India so expecting our state governments to take care of our para-athletes is too much to ask, agree? 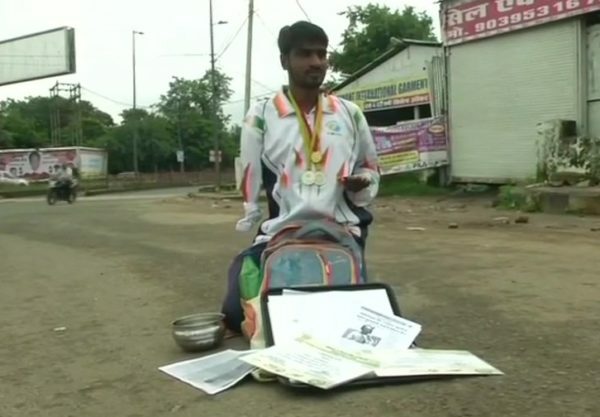 The insensitive attitude of Madhya Pradesh government has come into limelight after a 28 years old disabled athlete was found begging in the city of Bhopal as he didn’t get a government job despite repeated promises. Manmohan Singh Lodhi, who lost his right hand 10 years ago, won a silver medal in the 100m-run at Special Olympic Bharat 2017 that took place in Ahmedabad. He told that he met Chief Minister Shivraj Singh Chouhan four times and the CM promised him a government job but he received neither a written letter nor any monetary assistance. As per him, the CM issued directions to the officials in this regard but nothing has happened since then and he is living in a night shelter home. The officials of MP sports department said that as of now, there is no policy for helping such athletes so this matter falls under the scope of social justice department. @Ra_THORe Credit is mine and something wrong that is yours. Hope you apologize for this. This is real Shame. We have failed to help our sportsmen, first with pathetic infrastructure, when they succeed we make promises after that we forget them. Real Disgrace. What do you have to say in this connection? What should Manmohan Singh Lodhi do now according to you? Let us know your views. Previous article“R U Interested In Adult Films ? ?” Asked Fan To BIGG BOSS Vaishnavi & Check What She Said !! Next articleDanush’s 300 Crore Secret Project Leaked In BIGG BOSS !! SHOCKING ! !